It seems like a lot of the quotes I see these days have to do with happiness...finding it and being saturated by it. 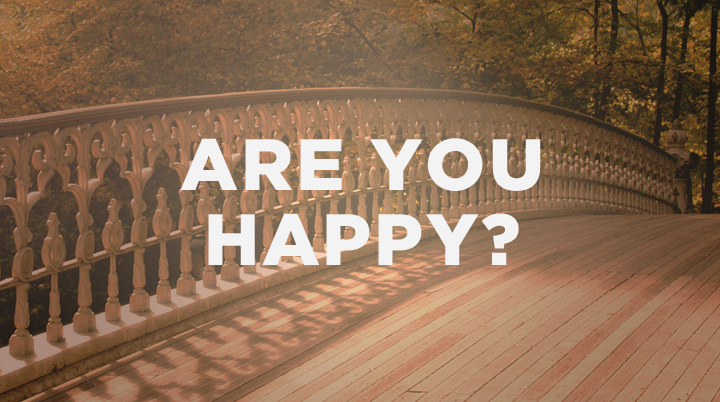 Maybe you have even been asked the question, "Are you happy where you are?" In the Bible, 1 Timothy 1:12 says,"I thank Christ Jesus our Lord, who has given me strength, that he considered me faithful, appointing me to his service." There is a lot to take in from that verse. It starts with thankfulness. Thankfulness ushers in strength: God's strength. That strength enables you to remain faithful and serve Him with all of your heart. When we are fully invested in living for the Lord, we can believe that our steps are being divinely ordered by Him. We contribute to His causes, we pray, we may even fast and then we expect that God will help guide us to the places we should be and to meet the people we should meet. And the incredible thing is that He does! You find yourself in the right place at the right time and for the right reasons which will always produce the right results. So maybe then, our goal should be to be happy right now: with where we are. I've met so many people recently that seem unhappy and completely discontent with almost everything. I too have had some seasons of sadness. Times like that can take all of us back to the place we ask that question, "am I happy where I am?" And if not, what can I do about it? Personally I don't think you can be truly happy with where you are unless you have some understanding about where you are going. If you will decide that you are going to live for God, and choose His way of doing things, I can assure you that you will be "happier" than you may be right now. If it's time to make a change, He will direct your steps and bring you good success. Hang in there! Hang on! Finish strong! Be thankful. Allow yourself to be filled with His strength and empowered to participate in His plans for your life. Be happy right where you are! There's no better place to be than in His presence.